This little yellow cottage is charming and comfortable with all the amenities of home. You will find the backyard ideal for sunbathing by the pool with a privacy fence and landscaping surrounding such. the enclosed lanai area is ideal for peaceful evenings. You are located within walking distance to the Ritz Carlton and Vanderbilt Beach. Shopping at Mercata is first-class as well as The Waterside Shops. Silver Screen theatre is nearby along with bike rentals and various religious gatherings. Close to the Beach and near so many amenities....my favorite is the Whole Foods hemp milk latte every morning. You'll love the pool and the privacy of the back yard. When the beach is windy the pool area is an ideal shelter. 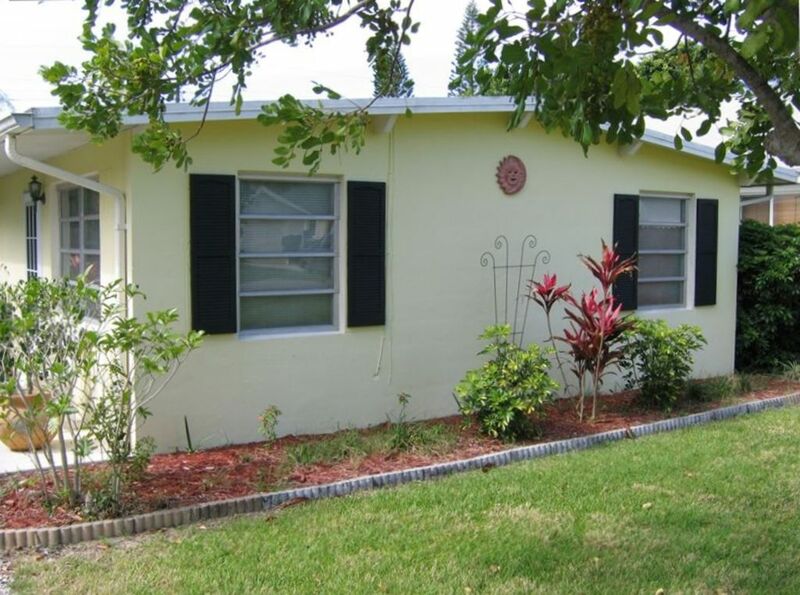 Also the home is very functional and has all the unique characteristics of a Florida cottage. Privacy fence surrounds pool with lush landscaping. My husband, son and I had an excellent time visiting our older son and his fiance in Naples Florida in August 2011. The cottage was perfect. It's got everything you could want. Great location. Great pool. Lots of paperback books. Close to the beach and the Mercato. Neighbors are pleasant. The rent was very reasonable as was the owner. Thank you for a just right vacation! Great price! Cute cottage with private back yard and pool. Convenient location: minutes to Beach, Whole Foods Market, and Trek Bike Rentals. Cleaning fee of $100. will be required for all rentals. Balance of cleaning fee, if any, will be refunded one week after vacating.